When my husband and I found out we were expecting we always knew that the path to having a baby was going to be tricky; as a Type 1 diabetic I had to physically prepare for months before conception and we knew the pregnancy would be highly monitored. We never expected that another complication was going to disrupt our world..
By 28 weeks I knew I was not OK, that feeling where you are really, really scared. I was no longer just suffering from the general pregnancy ills. I wasn’t right. I spent the next five weeks in and out of hospital being tested and monitored – the main focus being my diabetes and the dwindling control I had over it. On 19th December 2006 at 33 weeks I was admitted to hospital. I felt horrendous – the consultants decided that my placenta had started to fail. Between the 21st – 23rd I became really poorly but now the atmosphere had changed. It appeared that I was being a hypochondriac. My notes suggest I was “developing a cold” that it had been “explained to the patient she probably has a viral infection” and most upsettingly”she feels we are not helping her”. It’s true. I did not feel like I was being listened to. However looking back at the results of the very regular tests I still cannot understand why alarm bells were not ringing at this point. Most notably the protein in my urine was increasing, my nausea lead to vomiting, swelling worsened, I developed tightenings and rib pain, my BP was creeping up, LFT’s (liver function) was increasingly concerning, I had urination pain then blood in my urine and finally started losing my vision. During the early hours of Sunday morning – Christmas Eve – I was vomiting uncontrollably and had incredible pain under my ribs and shoulder. When I woke I could barely see…. I was losing my vision… I was weeing blood, and alarm bells finally and literally rang. At 10am – days after my symptoms began and hours after I had reported significant changes and being really unwell a doctor was contacted. By 10.24am I was on Magnesium Sulphate and on labour ward signing consent forms. My husband was called. Blood results showed that my internal organs were failing and most worryingly my platelet count had fallen dangerously low – at this point it was 11, ( it should be between 150-450). It was Christmas, it was a Sunday and I was in a lovely little cottage hospital. Not once were our questions answered. Finally I delivered by emergency section at 2.20pm. Our daughter, Ella, was very poorly but was stable and safely in SCBU, seeing Christmas in without her mother’s arm to cradle her. I, however didn’t fair so well – my blood and platelets couldn’t recover and so started a brutal ordeal of transfusions, constant bleeding out and loss of consciousness that lasted two days. 6 lines pumped and pushed various cocktails of drugs, blood and platelets. My internal organs, particularly my liver were failing. My vision was almost completely lost at times. I had a strong reaction to the pain relief and magnesium that made me hallucinate the most terrible, terrible images that will haunt me forever. I was very ill and my husband and family were told not to leave. I nearly lost my life. Christmas very quickly disappeared on labour ward. Tinsel was removed from happy midwives pony tails, the music was turned off and the atmosphere became very dark. A dying mother on Christmas Eve and a baby fighting for their little life was unbearable for everyone. It was a few years later that we found out that at least one of our midwives had needed counselling after our treatment – something I feel so very responsible for. My husband stood in empty corridors not knowing which one of us to be with: his dying wife or precious little new-born, bravely tucked up alone. I was initially treated for pre-eclampsia, notes mention HELLP the following day. I wasn’t moved from the delivery suite for four days for fear of rupture. Intensive care came to me. Mercifully in those first few hours I remember very little. Though flashbacks often remind me how dangerously close I came to not making it. Once consciousness returned I was determined to see our daughter. On the fourth day after delivery I was wheeled to special care and we met…and 6 days later we had our very first cuddle! We both spent 4 weeks in hospital in our respective wards growing stronger, were eventually reunited and then finally came home. It was an enormous decision to have another child but the risk of it happening again was so small and we had lots of pre-emptive checks that led world renowned consultants to believe I would be OK. We fell pregnant and whilst delighted the pregnancy was full of worry and concern. I was really well monitored; a bit of a pin cushion, actually, but it meant we felt safe. Sadly things changed and our worst fears were realised when my platelets started to drop again. We were reassured by the fact that at least this time they knew what was happening. At 34 weeks Grace was born, by emergency C-section. She didn’t breathe for 4 minutes but then apparently wailed and she was with us. SCBU beckoned again but our second little girl wasn’t so little at 6lbs14 and she bounced back with such vibrancy that we were out of hospital in a week. Though desperately poorly again things weren’t so bad and my recovery was much quicker. I have mixed opinions about our care – on one hand we are indebted to the staff at the hospital that saved me and our daughters’ lives. From when our first daughter was delivered right through to the follow up care with our second daughter the NHS was outstanding. I have huge respect for all of the levels of care that we received and still hold dear those that saved our lives. However the mistakes that were made in those early stages of my illness in 2006 certainly lead to a near fatal outcome and I continue to campaign through education and sharing my experience at APEC’ study days, to ensure that other mothers do not experience the lack of listening to a patient that I most certainly did. Awareness of the signs of pre-eclampsia, eclampsia and HELLP syndrome are vital to know, understand and act upon and if my story helps spread that word, I’m delighted to revisit it! 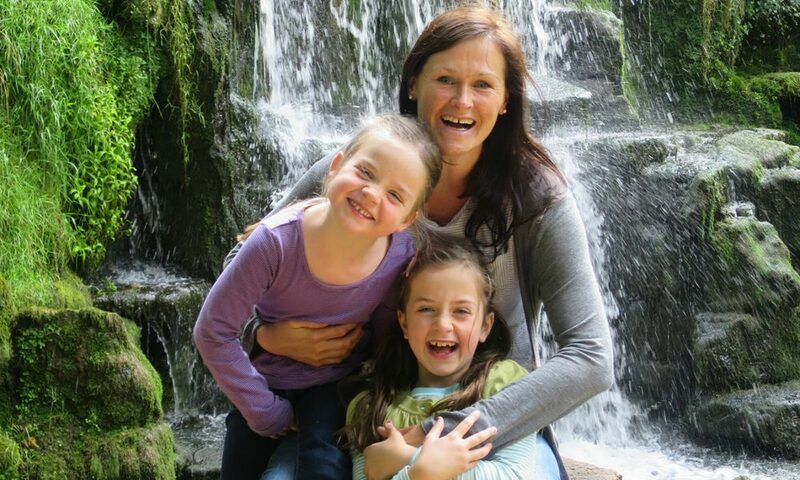 The above story is shared by Anna Griffin, mother and pre-eclampsia sufferer. As an APEC supporter, Anna has kindly attended our study days and spoken with midwives about her experiences during this time.